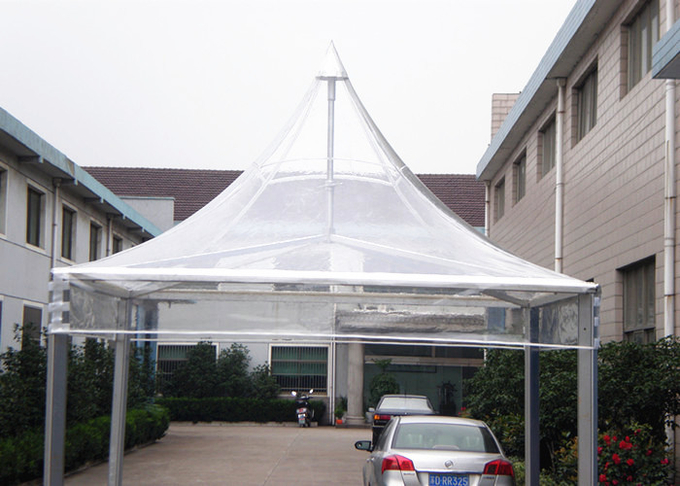 · Roof cover: high quality double PVC-coated polyester textile, 100% waterproof, flame retardant to DIN4102 B1, M2, CFM, UV resistant, tear resistant, self-cleaning ability, etc. 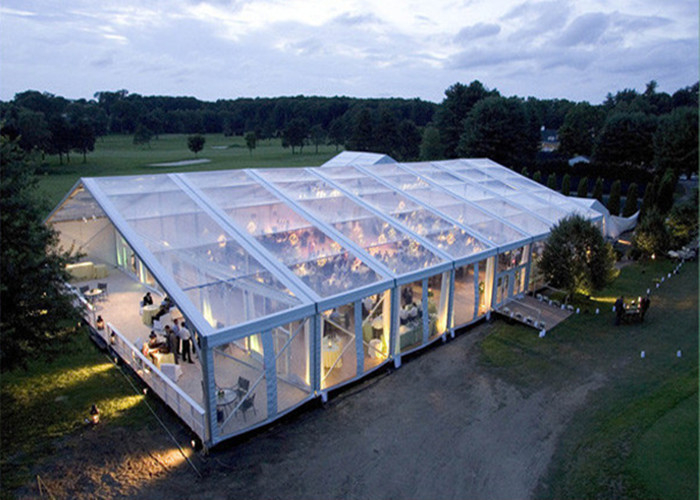 The clear roof tent is very popular in wedding, party or event. The sunlight can go through the tent and people inside can see outer view. A shape tent, Arc tent, pagoda tent, these are our hot sale product and can be made of clear cover. The pagoda tent is from 3x3m, 4x4m, …, to 10x10m, usually be used for entrance. The Arc tent is from 12m to 30m, the roof can be extended for walk. The sidewalls can be glass walls or clear PVC. A shape tent is common type for all kinds of event, that is commercial and durable. 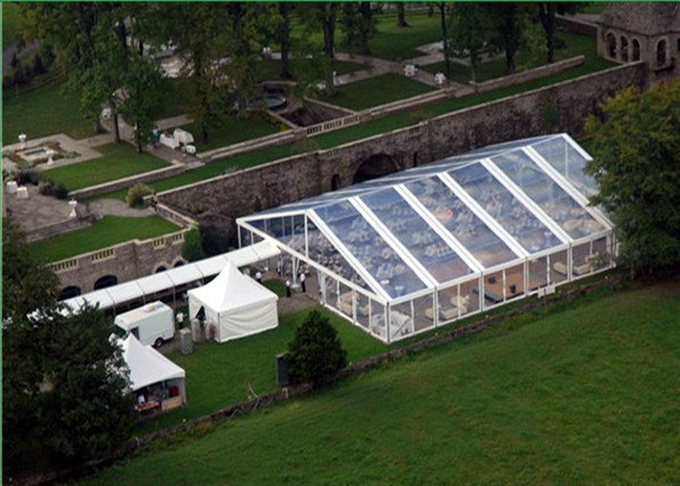 The clear roof tent can be used for outdoor event, graduation ceremony, industrial warehouse and so on. The clear roof tent can be fixed on different grounds, like concrete ground, grassland, sand, etc.